Re introducing old favourites back into stock, responding to customers wishes from the past 18 months a number of limited edition models have been remastered and new moulds produced. this will give those customer which missed out on adding these to there collections and second chance to purchase these fine detailed models. 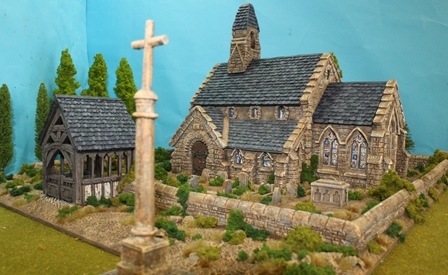 28mm Spanish Convent set, 28mm Medieval church set,28mm WWII Normandy cottage / bunker, 28mm Medieval Tower house set. Would love to see the Western Theatre WW2 range at again so I can complete my collection and add to my post office and manor house as these models are so impressive.